Although I’m a Pescatarian the majority of my meals are Vegetarian. I don’t miss meat at all. As long as the food is seasoned well. That’s why I love Indian food. Everything is so rich and flavorful. And there’s lots of Vegetarian dishes to choose from. Vatan NYC celebrates the flavors of Gujarat with all you can eat Indian fare. And all of the dishes are Vegetarian. I was excited to be invited for a press tasting and took my son along for the experience. 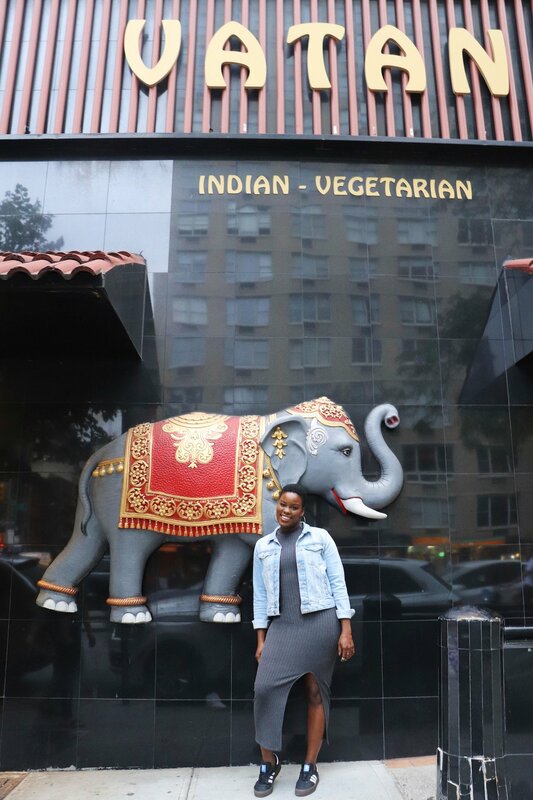 Vatan NYC mimics the ambiance of a typical Indian courtyard. 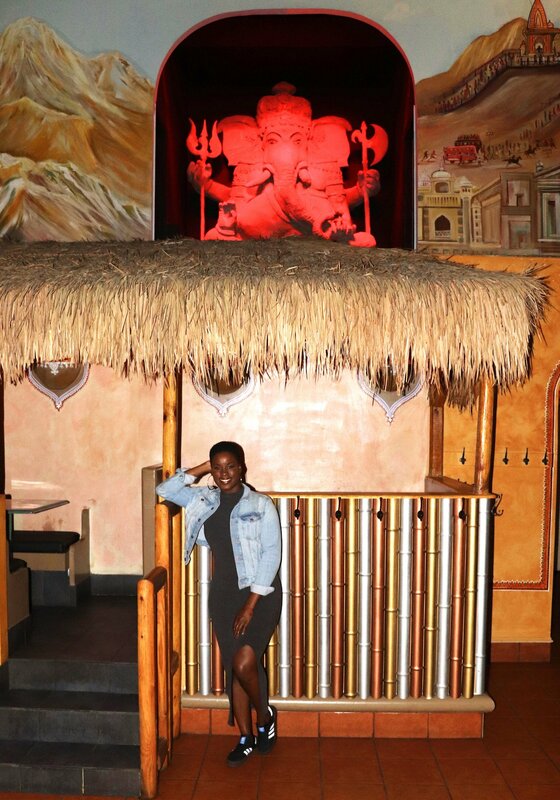 The decor features a 20 ft tall banyan tree, hand-painted tables and thatched roofs to transport you to India while you eat. Veggie crisps are provided to enjoy while you explore the menu. 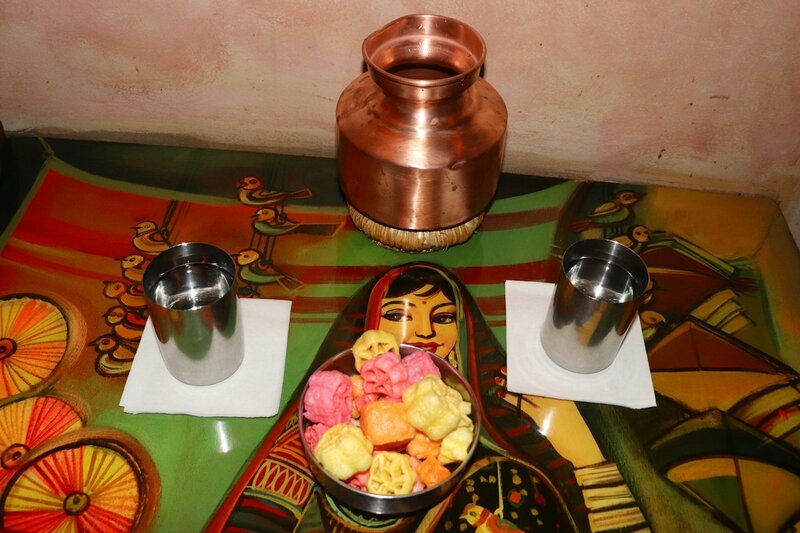 The Prix Fixe Menu features an appetizer thali, entree thali with complements, dessert & chai. All for only $34 pp. 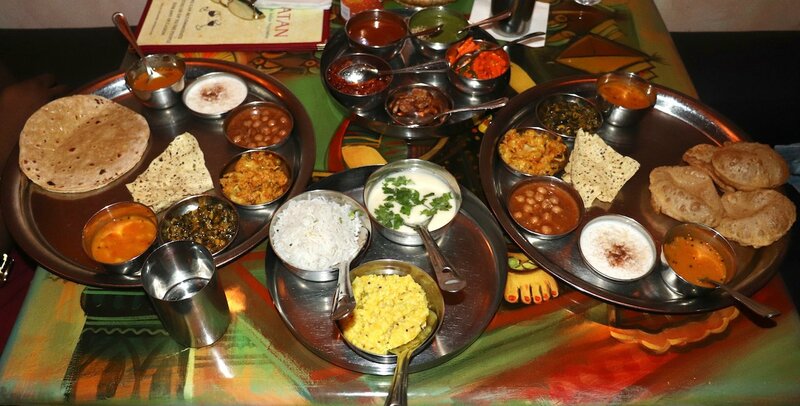 A thali is a variety of dishes served on a platter. 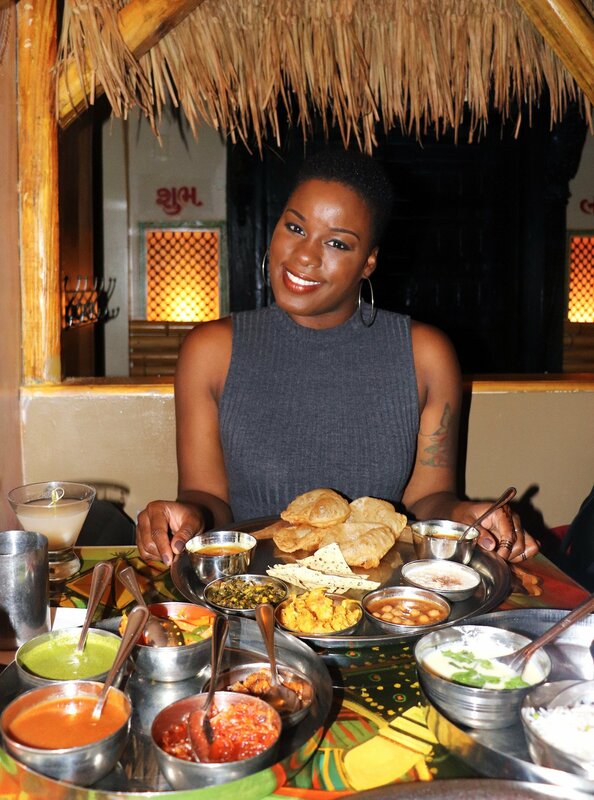 Once you sample everything on the platter you can order endless servings of the options you enjoy the most. Vegan, Gluten Free and Nut Free menu options are also available. 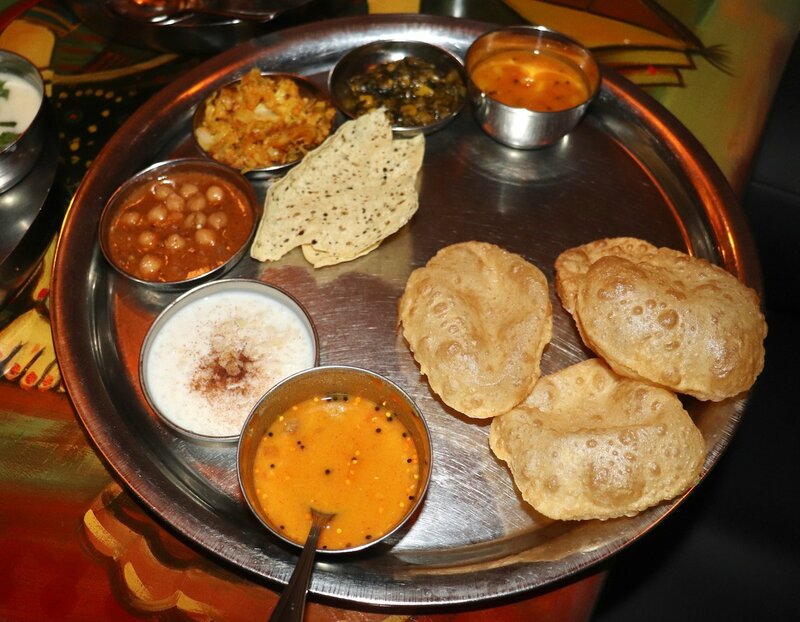 The appetizer thali includes eight deliciously spiced items. Including Chana Masala and Samosas. And a selection of chutneys to add additional flavor . 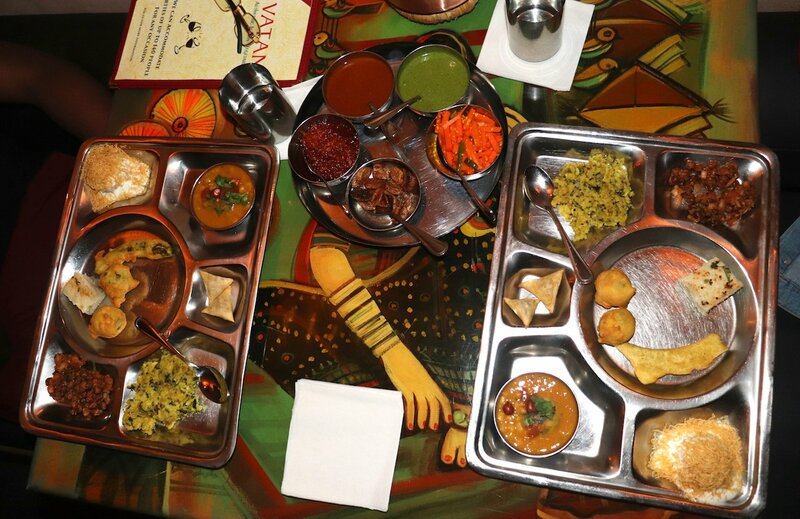 The entree thali includes a smorgasbord of seven dishes. Spiced lentils. Sauteed Spinach & Corn. Sauteed Caulifower & Green Beans. Rice Pudding. To name a few. The platter is served with your choice of roti or puri. Along with soup, lentils with rice and pulao (boiled rice with peas). My son had the roti while I chose the puri. Both of us enjoyed our bread option and all of the dishes. The variety of textures and flavors were amazing. I also enjoyed a Lychee Martini which paired perfectly with the meal. 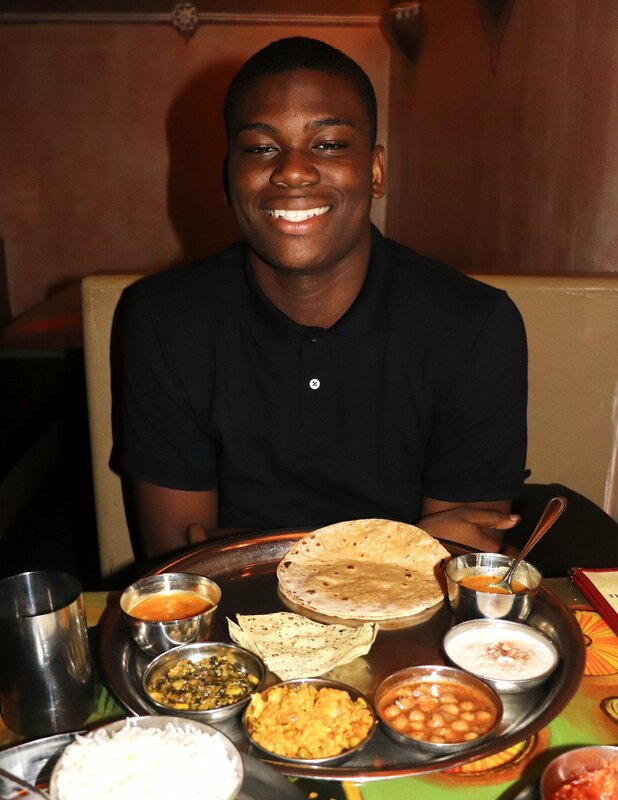 I’m so glad my son was able to experience Vatan NYC as I do my best to expose him to different cuisines and keep him well rounded. Finally we made it to dessert. Warm waffle balls in sugar and rose syrup. They were super sweet yet so delicious. 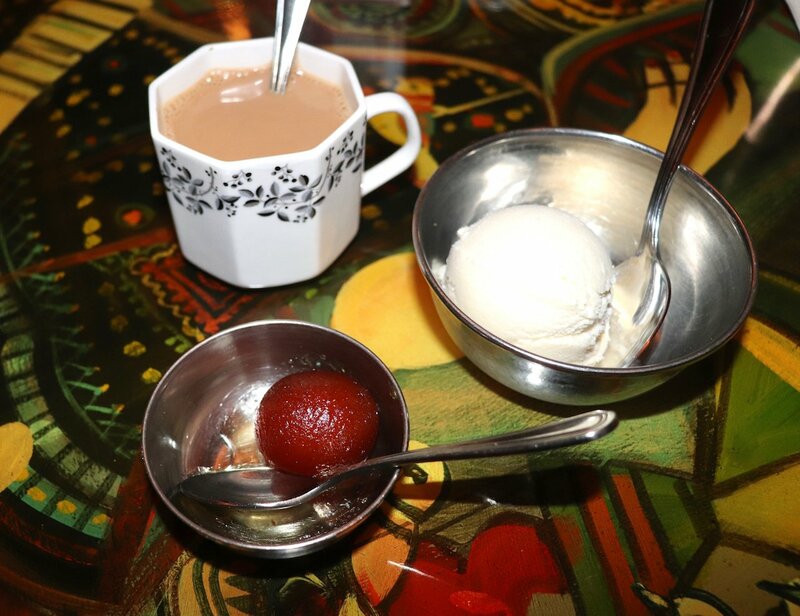 It was great with the homemade Indian ice cream which was barely sweet at all. A tiny cup of chai tea was the perfect ending to the meal. We left Vatan NYC feeling extremely full and happy. I was pretty full after the appetizer thali and had to eat really slow to make it through each course. So I didn’t have room for additional servings of anything. But Esean ordered an additional serving of a few dishes, including dessert. You know teenagers are like bottomless pits lol. Anyway I’d definitely visit again. You get a good bang for your buck and the food is simply divine. Vatan NYC is located at 489 Third Avenue, NYC.